A colourful set of 3 enamel plant pots, in various stylish signature prints by Orla Kiely, the Irish contemporary designer well known for her unique retro designs. The prints include her Big Spot Shadow Flower, Big Spot Flower Stem and Big Spot Abacus Flower. 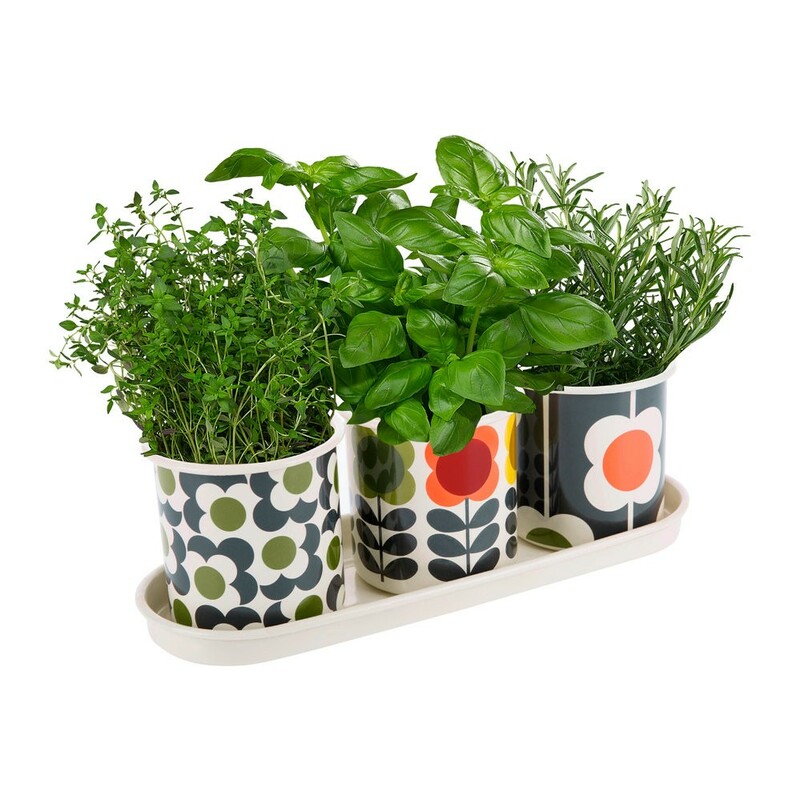 All three pots sit neatly in an enamel tray, and comes presented in a gift box, making it a perfect gift for keen gardeners, cooks and fans of Orla Kiely. Each pot measures 11 cm in diameter, total length 33 cm.